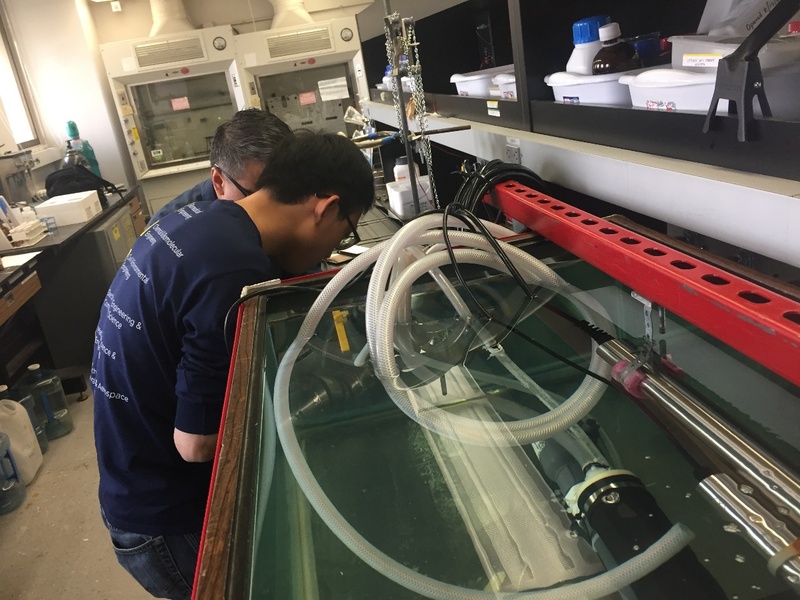 UC Irvine researchers are investigating local waste water treatment plants. They are particularly interested in monitoring for COD and turbidity. Delta-Phase’s SA-9 multi-parameter spectrum analyzer coupled to the GDC-04 general display controller and a TS7 turbidity sensor will be used for this study. 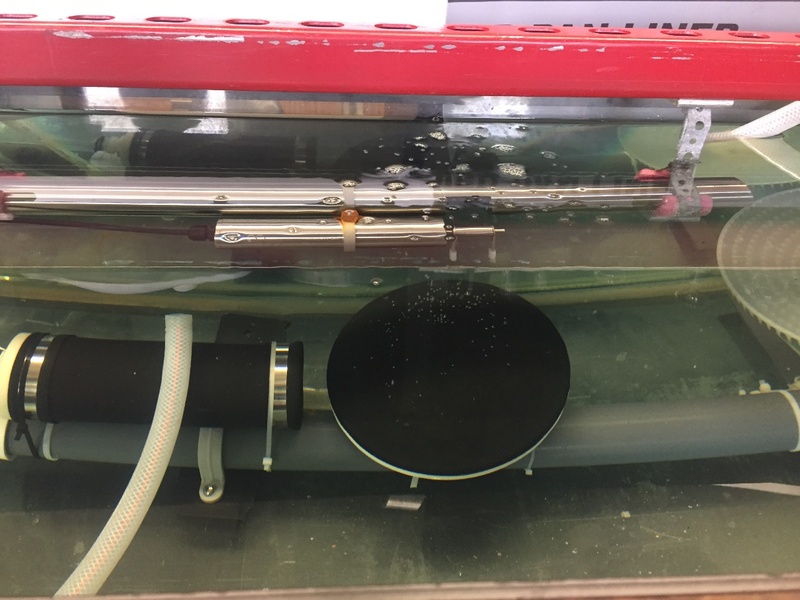 In figure 1 below, Delta-Phase engineers are assisting UC Irvine researchers in lab set up and testing of the instrumentation prior to deployment in the field. Figure 2 shows the SA-9 with mechanical wiper. Figure 1. Delta-Phase assisting graduate student researcher in set up of the SA-9 and GDC-04. Figure 2. SA-9 with wiper undergoing lab testing directly above bubble generator.